A collection of dourly comic essayistic stories about aging, parenthood, and white male privilege from writer and comedian Hodgman. ... a hilarious and irreverently sincere collection of personal essays ... Throughout the book Hodgman is charmingly arrogant and self-deprecating ... Parts of the book he has used in his live stage appearances, and at times you get the sense that he’s delivering a monologue, and it works nicely on the page ... It is when Hodgman focuses on his children that he is at his most playful, and when thoughts of mortality creep in. On these pages, Hodgman is as funny and as self-deprecating as ever, but also, deeply and hilariously, for real. 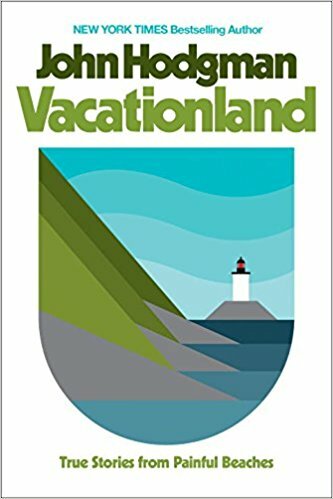 Although he is a very fortunate man, the dotted line he draws between growing older and growing up will be familiar to any gloomily aging person — which is to say, anyone older than 17 ... Vacationland is an ambitious departure from Hodgman’s previous authorial endeavors. It’s funny, but it’s no joke. The book is a cleverly composed meditation on one privileged American’s life — and, glancingly, on America — at a crucial moment for both ... Reading [certain] passages, one can’t help but wince at Hodgman’s self-involvement. And yet, one can’t help but give him props for being so unabashedly, so ironically, and so entertainingly who he is. Vacationland pauses at the strangeness of the ordinary, the bluntness of real-world circumstances. Hodgman is great at confronting the surrealism of adult life, and he is always finding his way back from his imagination to a stranger truth; reconciling his own fantasies with broader, more consistent realities — that means death, mostly ... Personal essay-style confrontations with privilege can, at their best, dig up new questions, propose new solutions — and at their worst, they simply fret. 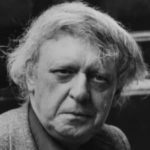 There are more new questions than fretting here, but the neurosis of comfortable people hardly changes whether they are in the beautiful city or on the beautiful coastline ... One discomfiting reality he emphasizes is that having money and security hardly gets rid of the fear of dying. For that, one might just need to plunge into Maine’s frigid waters. What did you think of Vacationland: True Stories from Painful Beaches?